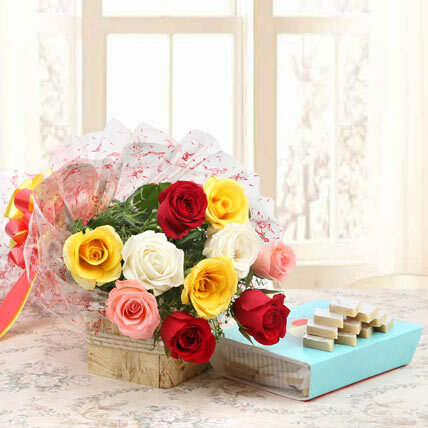 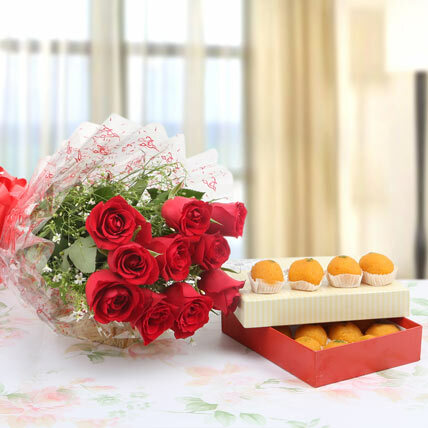 Flowers with Indian mithai makes a great gift for any occasion. 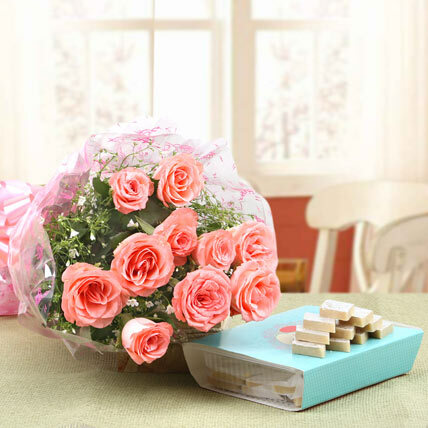 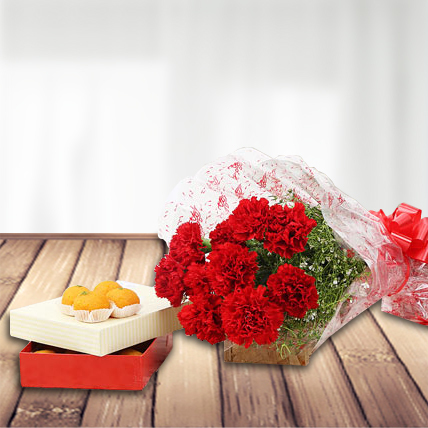 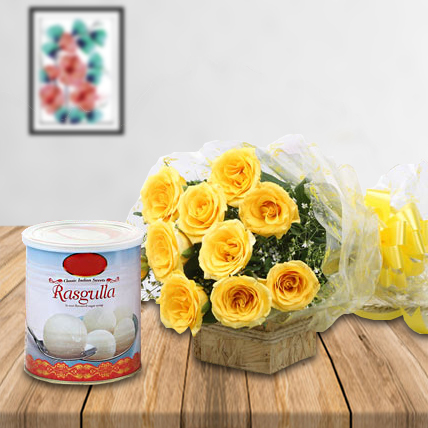 Send your loved ones this pretty bunch of 10 red roses and pamper their sweet tooth with 1 kg pack of yummy Moti Choor Laddu. 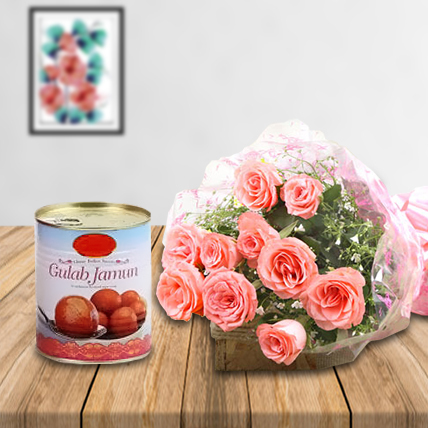 Share joy by gifting them this exclusive hamper.